Department of ICT Undersecretary Monchito Ibrahim, NICP President Dr. Antonio del Carmen and eGovenance Project Lead (2012-2018) Atty. 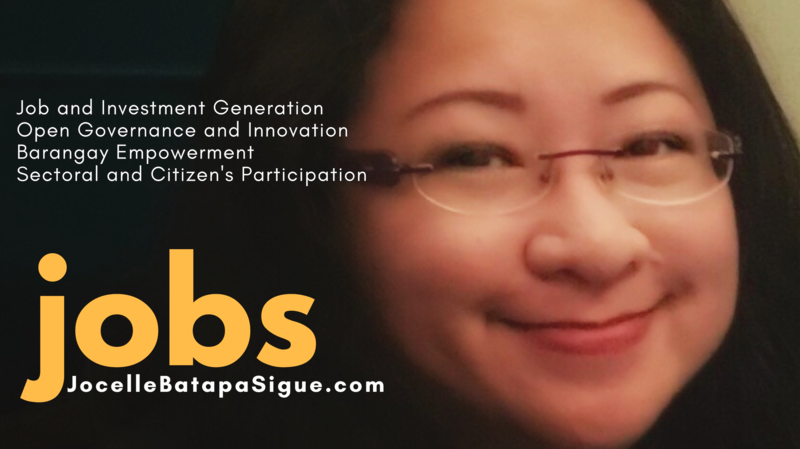 Jocelle Batapa-Sigue thank the Board of Evaluators for the Digital Cities PH Awards for Best Practices in eGovernance for LGUs. Ten local government units in Luzon bagged ten out of seventeen championship trophies during the The Digital Cities PH Awards for Best Practices in eGovernance (DCP eGOV Awards) during the awarding rites held last October 12 at the Philippine International Convention Center (PICC) in Manila. Senator Sonny Angara, Senate chair for Local Government, delivering an inspiration message during the awards night. The champion LGUs are the municipalities of San Mateo in Rizal, Pinamalayan in Oriental Mindoro, Cavinti in Laguna, Baliwag in Bulacan and Bayamban in Pangasinan, the cities of Naga, Calapan, and Marikina and the Province of Batangas. Two championship awards went to Cebu City, and one each for the province of Cebu and the municipality of Loon, province of Bohol. The province of Davao del Norte won all the first place trophies for Mindanao. This year, the Department of Information and Communication Technology (DICT) adopted the project under its Digital Cities PH framework. The awards recognize local government units (LGUs) for their best practices in utilizing ICT to effectively and efficiently deliver its public services directly to its constituents and other stakeholders. There are six categories, namely Customer Empowerment (G2C), Business Empowerment (G2B), Government Inter-Operability (G2G), Digital Finance (G2P), Data-Driven Governance (D2G) and Systems for Global Competitiveness (G2W). For each category, there three levels – for provinces, municipalities and cities. All entries are judges according to four criteria, namely innovative management, impact or the major results, effects and benefits of the system, relevance to the overall objectives of the local government, and replication potential and sustainability. DICT Undersecretary Monchito Ibrahim welcomes attendees to the awards night. Best in eGOV Customer Empowerment (G2C) Award – This category recognizes the measurable effect of an LGU’s outstanding practices using ICT solutions in the education and engagement of the public and in the use of electronic facilities and channels towards providing improved, timely and relevant delivery of public services. Best in eGOV Business Empowerment (G2B) Award – This category awards the significant effect of an LGU’s laudable practices in integrating ICT solutions and the commitment of its administration in the LGU’s responsiveness to the needs of business enterprises, thereby creating business opportunities. Best in eGOV Government Inter-Operability (G2G) Award – This category awards the valuable impact of an LGU’s initiative to connect data and systems with other government offices, both national and local for the convenience of their constituents and to improve its public service delivery. Best in eGOV Data-Driven Governance (D2G) Award – This category cites the efforts of an LGU in recognizing that good governance through ICT goes hand in hand with the fair and responsible processing of data. Effective e-governance provides constituents with convenience and better services through the free flow of information while ensuring at the same time that personal data is protected. Best in eGOV Digital Finance Empowerment (P2G) Award – This category commends the initiative of an LGU to promote e-commerce or e-payment facilities and systems to ensure effective revenue generation and collection and improving the over-all financial management of the LGU as well as giving convenience to the public. Best in eGOV Systems for Global Competitiveness (G2W) Award – This category cites the efforts of an LGU in developing world class systems in using ICT that are at par with international or internationally – recognized standards, thus making the LGU globally competitive, recognized, and virtually accessible and interactive. To know more about the projects or get in touch with the LGU proponents, please email egov@nicp.org.ph.